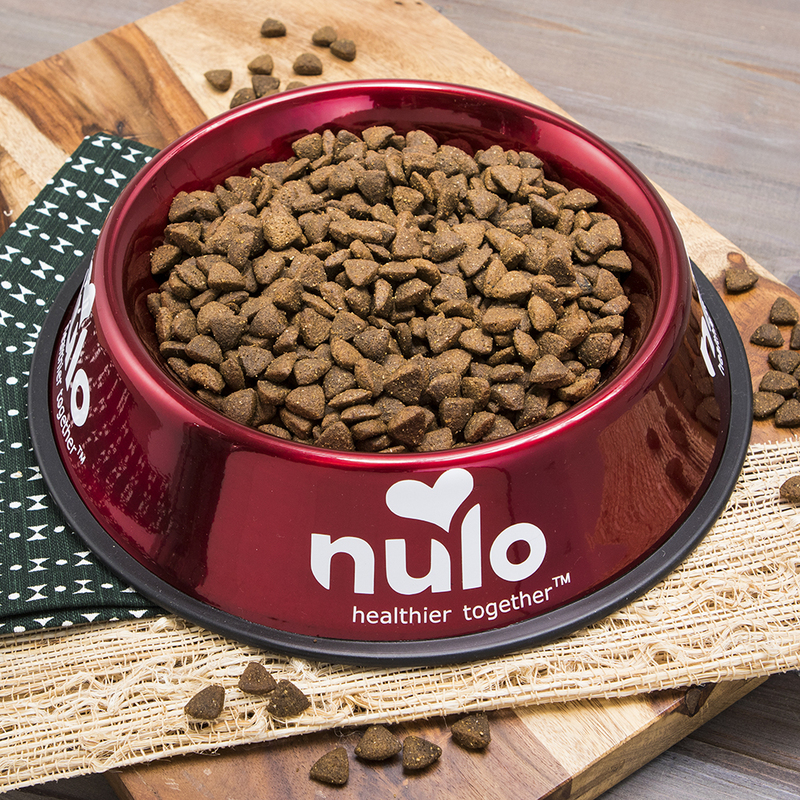 Treat your senior dog to a superior nutrition plan that keeps them fit and healthy for years to come. 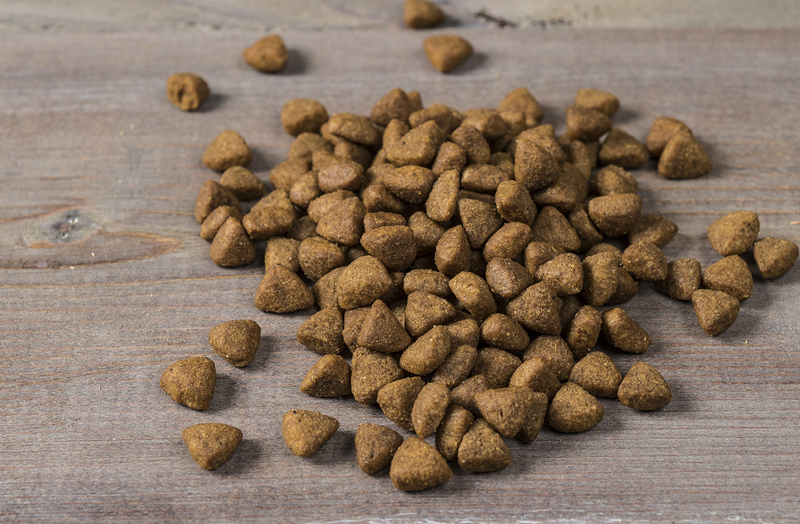 With all the benefits of a high animal meat, grain-free formula, our senior formula also includes Glucosamine and Chondroitin to support hip & joint health. And the addition of L-Carnitine helps the metabolism of fats for dogs that aren’t quite as active as they used to be. Who says old pups slow down? 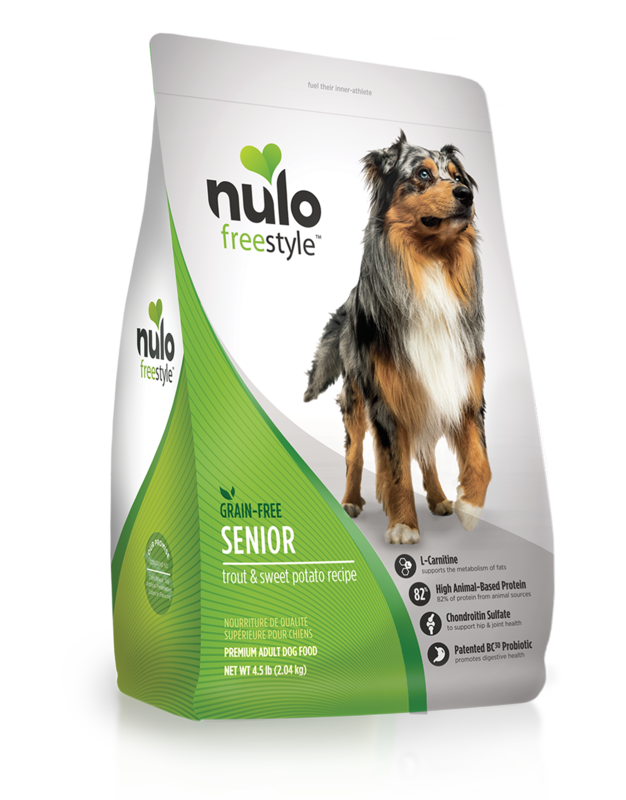 With Nulo FreeStyle™ they can get better with age. AVAILABLE IN 4.5 LB, 11 LB, & 24 LB BAGS. provides 100% complete and balanced nutrition for the maintenance of adult dogs. It is ideal for dogs in their senior years. This formula is not intended as the sole diet for growing puppies, pregnant or lactating dogs – as they have special nutritional needs that require a different balance of protein, calories and other nutrients.